Truckers Health - Paving the way to good health! 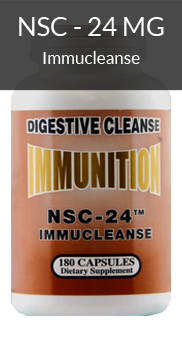 Steer Your Body the Right Direction with the NSC Truckers Package! BUY the NSC TRUCKERS' PACKAGE NOW! The National Institute for Occupational Safety and Health (NIOSH: http://www.cdc.gov/niosh)performed a study survey of 1,670 long-haul truck drivers at truck stops across the continental U.S. involving their health and work practices. The surveyed long-haul drivers showed a, “constellation of chronic disease risk factors” such as high blood pressure, high cholesterol, obesity, smoking and inadequate sleep duration. 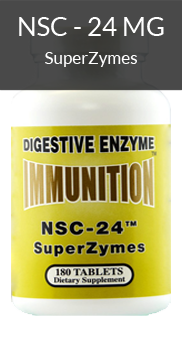 ·More than 50% or long haul truck drivers reported having more than two of the negative health conditions. · Long-haul truck drivers were twice as likely to be obese at 69% with17% morbidly obese compared to the adult working population at 33% with 7% morbidly obese. Obesity increases the probability of type 2 diabetes, sleep apnea, heart disease, cancer, joint and back pain, and stroke. · 54% of surveyed truckers smoked; more than twice the 19% of the general working population. Smoke increases chance of heart disease, type 2 diabetes, stroke and cancer. · 88% of long-haul truck drivers reported having at least one risk factor (hypertension, smoking, and obesity) for chronic disease, compared to only 54% of the U.S. working population. · 27% of long-haul truck drivers averaged 6 hours or less of sleep versus 30% of working adults. · Diabetes prevalence for long-haul drivers was 14% versus 7% of the general population. 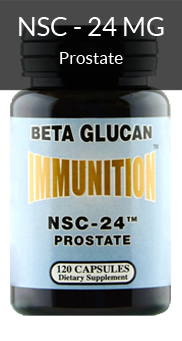 · 22% of long-haul truckers were either taking medicine for or had high cholesterol. · 27% of long-haul truckers reported no moderate or vigorous physical activity of at least 30 minutes duration in the previous 7 days. No data was available on general population. 54% of surveyed truckers smoked; more than twice the 19% of the general working population. Smoke increases chance of heart disease, type 2 diabetes, stroke and cancer. 88% of long-haul truck drivers reported having at least one risk factor (hypertension, smoking, and obesity) for chronic disease, compared to only 54% of the U.S. working population. 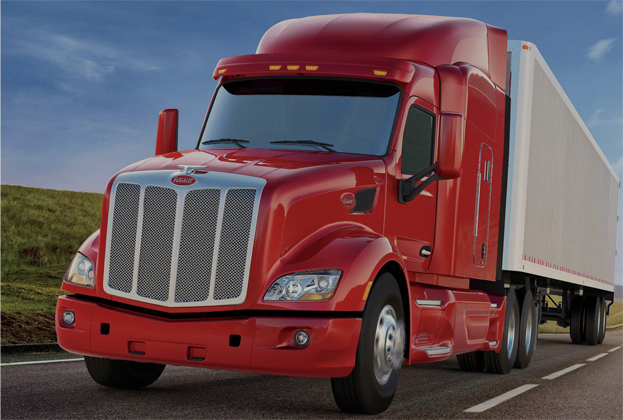 "Truckers’ Health Essential To The Nation's Health"
A Big Rig Package for All Drivers! Our 3.5 million long-haul truckers, including 250,000 women, driving 15.5 million trucks in the United States literally make our economy work. These men and women deliver our food, clothing, furniture, machinery, medical supplies and goods coast to coast while being away from home an average 240 nights per year! 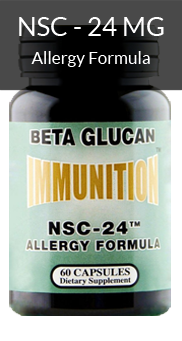 The travel brings special health issues from restricted circulation in the body from long hours behind the wheel. 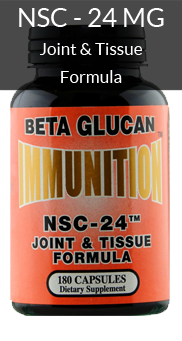 Add severe fatigue, poor diet, to strain from poor posture in a driving position. 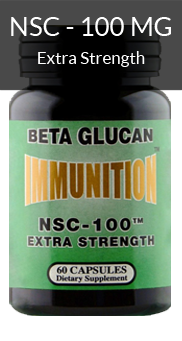 The NSC Truckers’ Package contains 3 products that nutritionally address the challenges of poor circulation, severe fatigue, poor diet, excessive stress and high cholesterol. 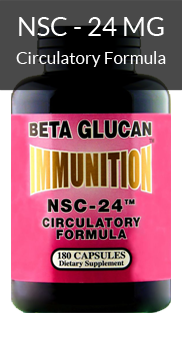 The NSC Circulatory Formula contains MG Beta Glucan for a potent immune response boost and a nutritional cholesterol management supplement. 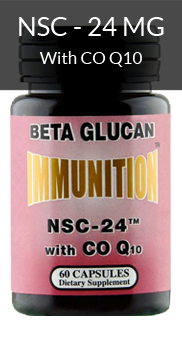 Add Magnesium from both the NSC Gold Multiple and the NSC Circulatory Formula for energy and stress protection in the heart plus a blood pressure management mineral. 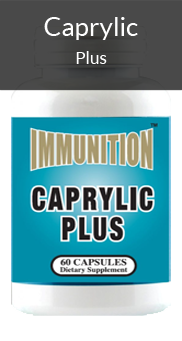 CoQ10 contributes to cell energy needed to circulate the blood effectively while bromelain nutritionally aids dissolving atherosclerotic plaque on artery walls and blood clots, the latter always a constant risk of truckers that if unaddressed can lead to a stroke. 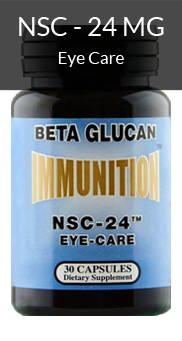 Vitamins A, C and D join a B vitamin collection that nutritionally contribute to eye and skin health, carbs metabolism and improved digestion together with minerals Zinc, Selenium and so much more. 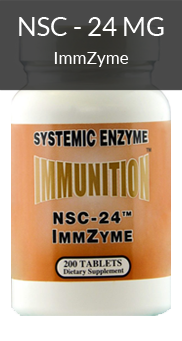 For label information on each ingredient in each of the 3 NSC Truckers’ Package supplements, click on the individual bottles below for NSC-24, NSC Circulatory Formula and NSC Gold Multiple Vitamins with Minerals. This statement has not been evaluated by the Food and Drug Administration. 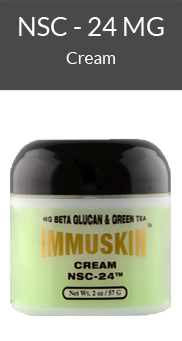 These products are not intended to diagnose, treat, mitigate or prevent any disease. were either taking medicine for or had high cholesterol. 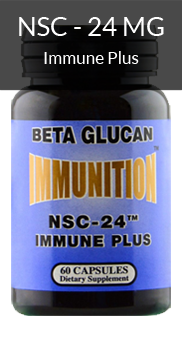 To help resolve the challenges of poor circulation to your body and your pocketbook, NSC – The Beta Glucan Company – offers a huge 40% discount at $59.95 for a 3 product package providing needed vitamins, immune booster and nutritional circulation enhancement! 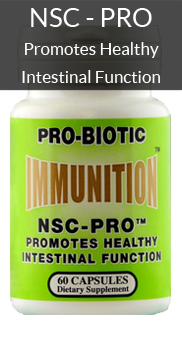 You save huge with $39.90 in savings kept in your pocket, while receiving 3 quality NSC products designed for you for less than $2 a Day! If your body could talk, it would be demanding you do something now because your health clock is running down with the ticking being your heart. 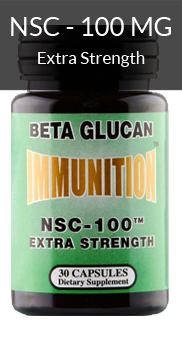 Your body isn’t waiting and time has no time outs. 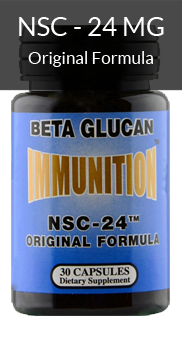 You need to help your body help yourself and the time is now! If your body could talk, it would be demanding you do something now because your health clock is running down with the ticking being your heart. 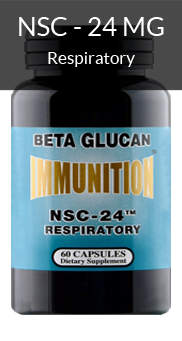 The Truckers’ Package includes not one or two, but three quality NSC Immunition products beginning with the NSC IMMUNITION Circulatory Formula. 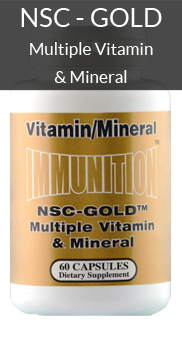 Then add NSC Gold Multiple Vitamin with B complex, proteolytic enzymes and trace minerals. 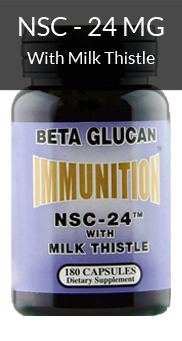 Finish the trio with medical-school-researched immune booster, NSC-24 Original MG Glucan – 30 Ct.
To comment or for more information Email: nsc24@nsc24.com or call 888-541-3997. 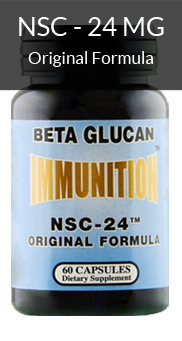 For detailed Label content and ingredients click on an individual NSC product and then on Supplement Facts. 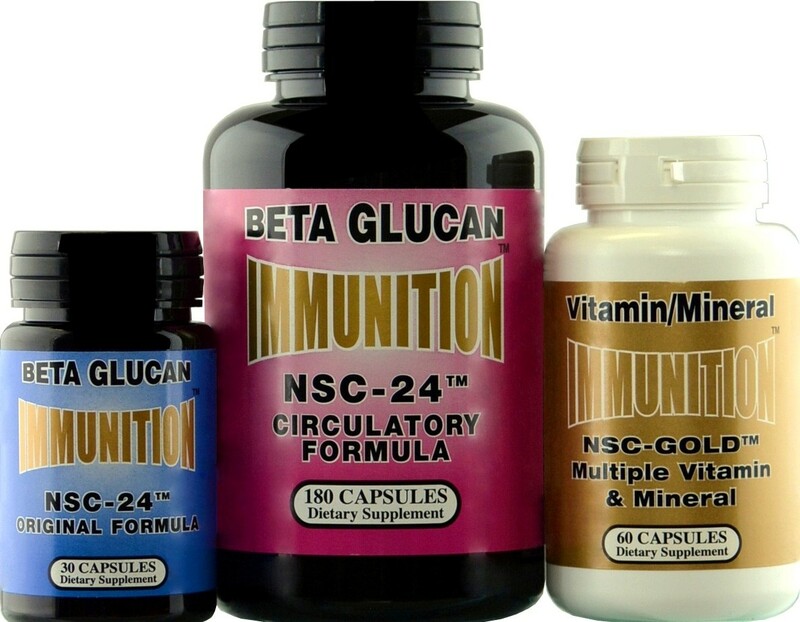 Information and statement regarding dietary supplements of other products have not been evaluated by the food and drug Administration and are not intended to diagnose, treat, mitigate or prevent any disease.